Behold Dan Bejar, on a break from the English language, claiming it seemed “spent, despicable, not easily singable,” despite his mastery of it over fifteen years of recording as Destroyer. 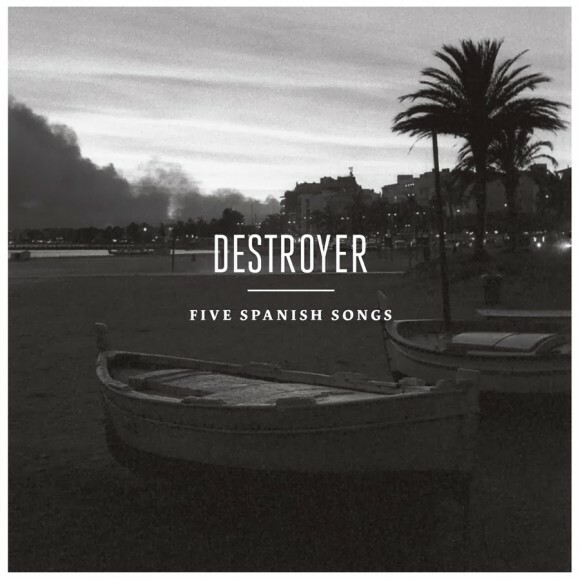 So Spanish it is, the one other language he knows, succinctly displayed on a five-song EP. But rather than carve out his oft-odd approach to lyricism and diction in a foreign tongue, he chose to borrow songs, “the only Spanish songs I really know.” Enter Sr. Chinarro, the long-standing project of Antonio Luque with sounds ranging from the pastoral to the post-punk. Bejar’s take on the songs is often much different, however. “Maria de las nieves” is soft and warm and ‘70s, with his “little” voice giving the song an informal charm. “Del Monton” keeps its jumpy rhythm but gets a bit more jazzy. One of the bigger shifts is “El rito,” whose original was decidedly Spanish, with acoustic guitars and percussion. Bejar instead gives it a glammy four-on-the-floor and fuzz guitar, but with a softer production. “Babieca” is groovy and percussive, with a moody delivery that doesn’t betray its native voice. The EP ends with “Bye Bye,” soft and sad and a fitting final track. The “English as a second language” thing works wonderfully here, adding a cool removed quality that is both a bit adventurous and a bit naïve. Unfortunately, as a covers record it might not satisfy those looking for the next Destroyer release, but may very well bring on a wave of new fans for Sr. Chinarro. However, with the wealth of material released over the last 17 years, it does offer a unique view of Dan Bejar, one that die-hard followers will likely embrace.